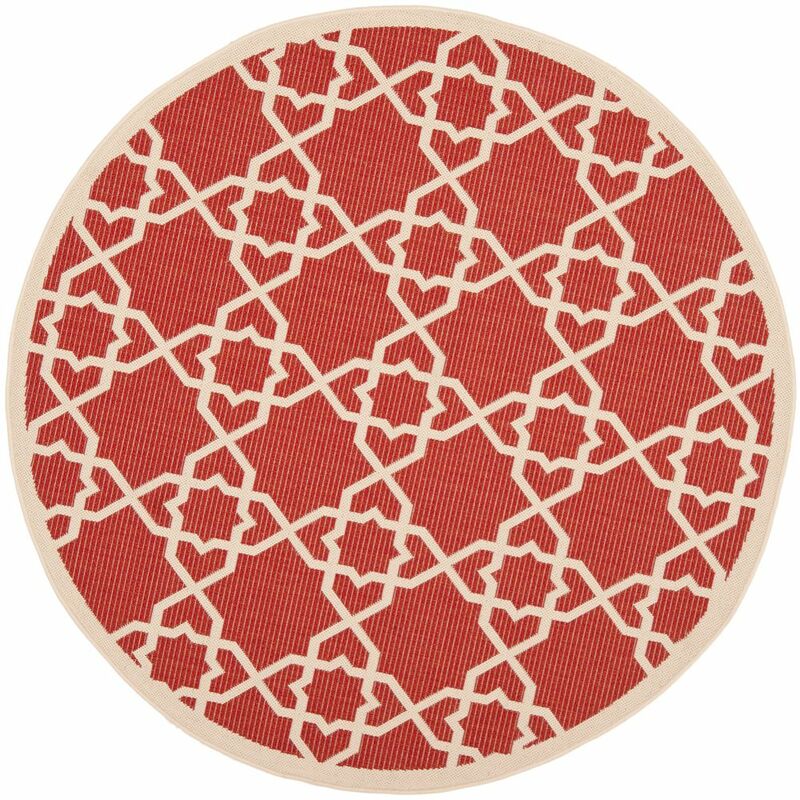 Courtyard Jared Red / Beige 5 ft. 3 inch x 5 ft. 3 inch Indoor/Outdoor Round Area Rug This Safavieh Courtyard area rug adds a touch of modern flair to the design of any area in your home. Designed for your hallway, dining room, or living room, this indoor/outdoor piece made from plush synthetic material looks and feels great. Contemporary comfort comes in the form of this machine-made rug. Quality is assured with this geometric patterned red rug.